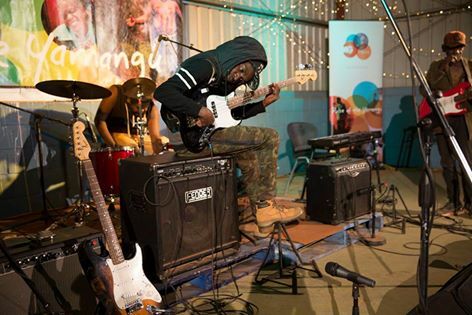 The Blackstone Festival traditionally culminates in a concert showcasing a number of the Ngaanyatjarra community bands. It is always a highlight of the week and this year was no exception. This year bands came from Warburton, Wanarn, Warakurna, Wingellina and Blackstone. NG Media is proud to support and be a part of the Blackstone Festival in this way.